The SNO-7084R is a camera from Samsung Techwin WiseNetIII network ranges, which feature the most advanced functions from Samsung with 3 megapixel 1080p high definition images. 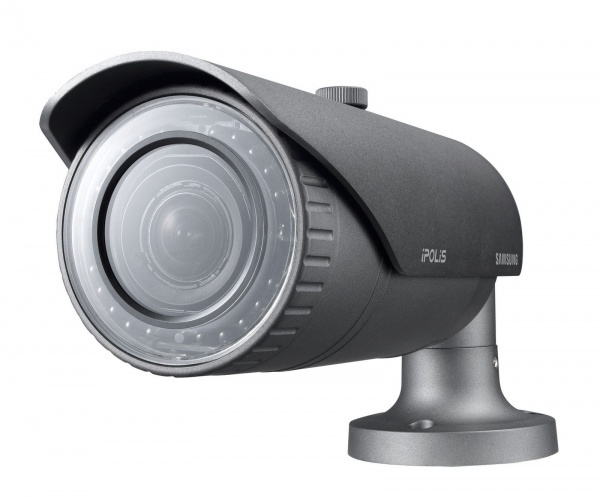 Its high level of functionalities includes 120dB Wide Dynamic Range which delivers 30fps at 3 megapixel 1080p, built-in IR LEDs and motorized varifocal lens which result in easy focus control. Rated to IP66 with integrated sunshield and supplied with a mounting bracket that allows the camera to be installed either wall, surface or ceiling mount to ensure the required field of view can be obtained every time.